The holidays are coming and maybe you’re in need of some new furniture. With Moe’s Home Collection, you have many choices, such as this Dover Dining Table. This beautiful and contemporary table provides a sturdy place to enjoy your meal. The top is made from the highest quality of MDF and a gorgeous veneer of rich walnut. The legs are solid wood and durable, strong, and created to last. 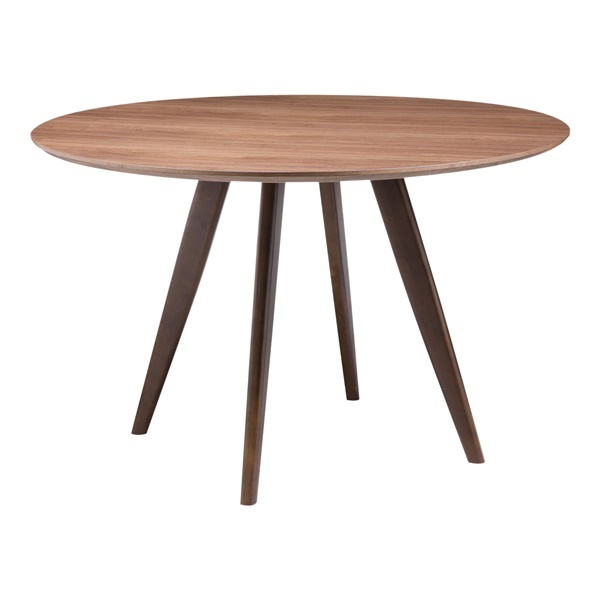 The legs are also angled to create stability and increase the table’s visual appeal. Just imagine your family as you sit around the table, enjoying a delicious meal. Use it in your dining room or kitchen – either way, it will last you for many years.